Stylish circular tables with a Thermoplastic top and tubular aluminium legs. Suitable for indoor and outdoor use. Popular in trendy establishments, held in stock for a quick delivery. 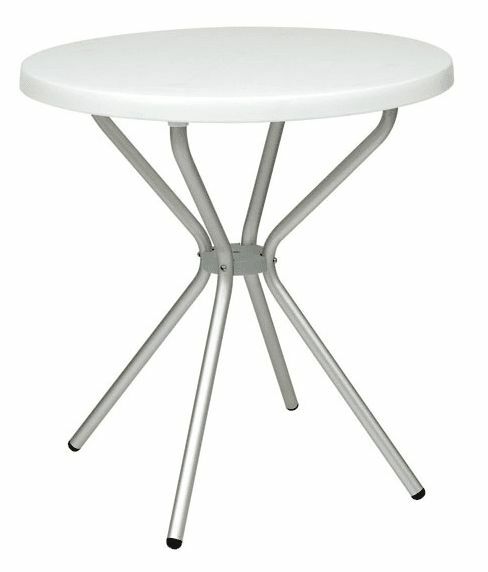 Elfo café tables have a thermoplastic top and silver anodized Frame and are suitable for external all weather use.